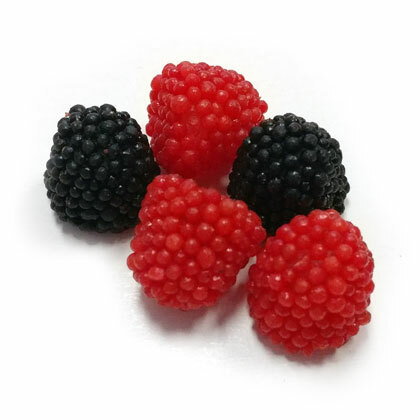 Delicious raspberry and blackberry flavored gummies covered with candy seeds. Imported from Europe by Haribo. 5 lb.